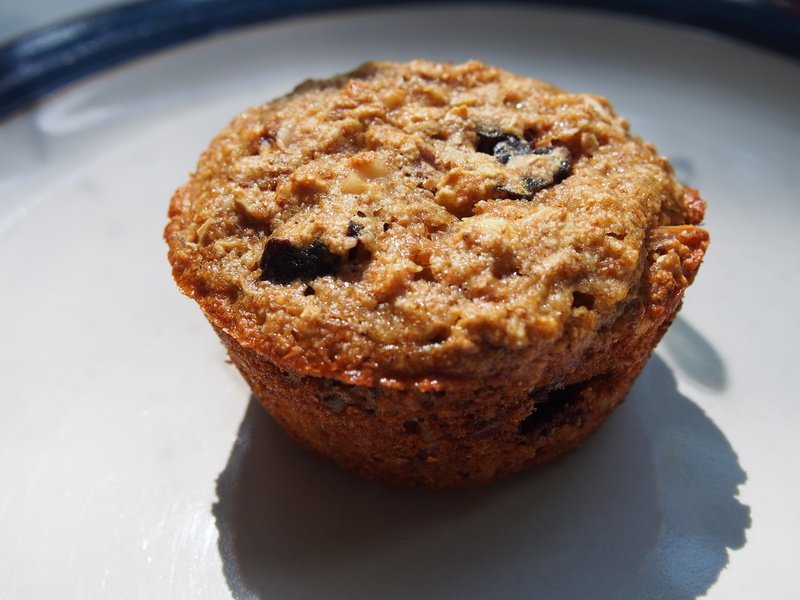 This is one of my favorite muffins for a good energy boost. All whole wheat flour goodness, plus some dried fruit and nuts. Yummy! I freeze all the extras (or make a double batch) and send these with the kids to school for the lunches or snacks. Spray 18 muffin cups with non-stick spray. 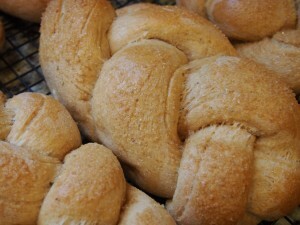 Combine the dry ingredients together (flour through salt) in a bowl. Whisk together. Combine the yogurt, banana and egg. 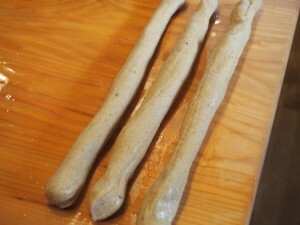 Stir the wet ingredients into the dry ingredients until just mixed - about 15 stirs with a wooden spoon. Fold in the dried fruit and nuts. Spoon or scoop into the muffin tins. 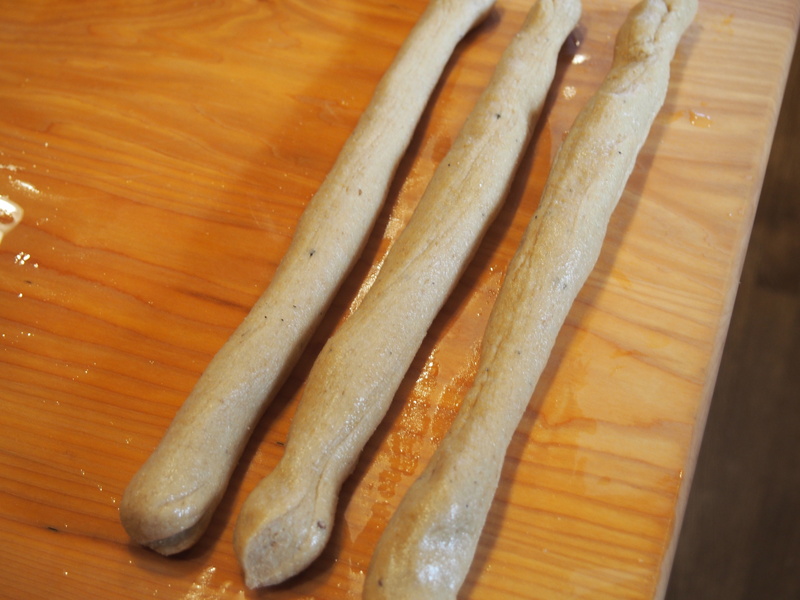 Bake at 350 degrees for 20 minutes or until a toothpick into the center comes clean. Remove the muffins immediately and let cool on a wire rack. I’m in the process of my first attempt at making kimchi. I like my ferments. I’ve gotten the hang of sauerkraut and sourdough, but kimchi is a new world for me. I’m honestly only making it, because I came across the recipe in a fermentation book by Sandor Katz and I happened to have all the ingredients sitting in the fridge. The Napa cabbage in particular kept talking to me every time I opened the fridge door – he’d say things like, “what are you going to do with me?” and “I’m beautiful, don’t let me go to the compost bin” and “Farmer Sue did not spend all that effort growing me so you could talk to me in the fridge”. 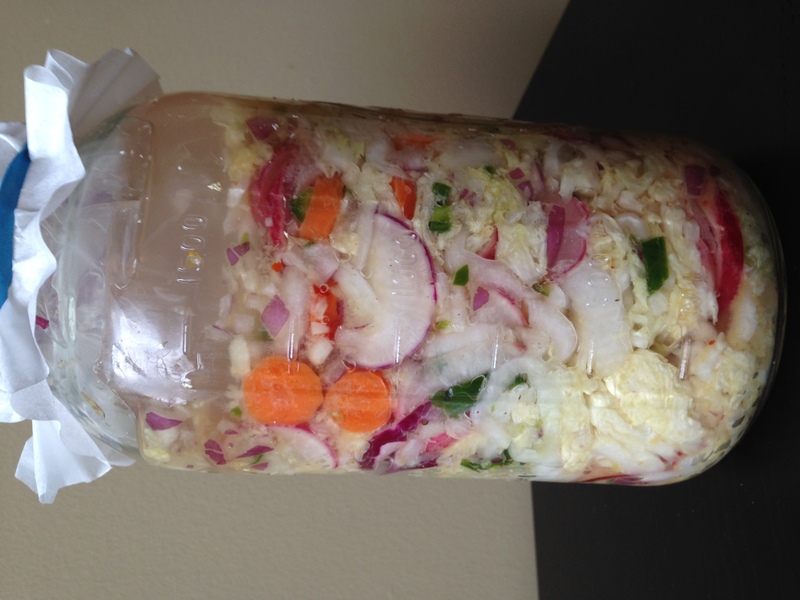 So, now that beautiful head of Napa cabbage has been chopped up with some radishes, carrots, ginger, garlic, hot peppers, and onion and is fermenting on the kitchen counter. Well, it was on the kitchen counter. It didn’t last two days – it’s now out in the garage. Stinking up the garage. The ironic thing is that I don’t even know what kimchi is really supposed to taste like. Mine is quite spicy. Leave the lips burning for hours spicy. So, that’s not bad. 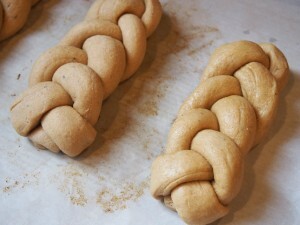 The recipe said it will be ready in about seven days, but I’m not sure mine will take that long. Warmer temps will help it ferment more quickly, but it might slow down now that it’s in the garage. Once it’s where I like it, I can seal up the jar and store it in the fridge until it’s eaten up. We might have to eat it quickly so I don’t have it smelly up the fridge. Thank goodness for the back-up fridge in the garage! 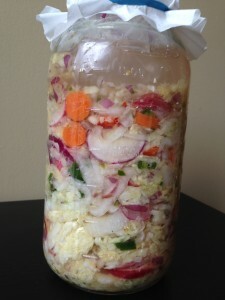 And here’s the other reason for making these ferments, they are supposed to be fabulous for your digestive system. They help with all the good bacteria in your gut. My man was recently on some antibiotics, so now the trick will be seeing if I can get him to eat the kimchi. Wish me luck. Maybe wish him luck.